Beginning my day at the super-early time of 5:30am, I was back on the Offa’s Dyke Path in the hope of catching a glorious sunrise. Many times, I’ve risen early praying for clear skies and warming rays only to have my hopes dashed. This was not one of those occasions. Making the initial steep climb up the lane adjacent to the main through-road in Bodfari, I could already see the sun’s hue beginning to break over the horizon. I can tell you, the spectral blues and oranges certainly helped push my weary body and mind up the last echelons of that first climb! When I reached the top, surrounded by open hills, green pastureland and rolling moorland on all sides, I make absolutely no apology for pausing to enjoy the moment. It was simply a breath-taking morning to experience a sunrise in North East Wales. After this short hiatus, I resumed my travels from Bodfari to Rhuallt along the famous Offa’s Dyke Path. However, by now the darkness had dissipated, replaced by a brilliant blue sky to contrast the lush greenery in this brilliant corner of Wales. The sun was now on my face and, although I still had a good few miles ahead of me, those miles would be happy miles. I really can’t stress enough how amazing these sorts of mornings are. If you’re planning on taking on the Offa’s Dyke Path, I would urge you to check the weather forecast. 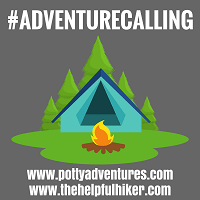 Not only will you be able to predict if you’ll need that waterproof jacket in the morning or whether it can be stuffed deep down in your day pack; you’ll also be able to determine whether or not setting your alarm at an ungodly hour may just be worth the bleary eyes and dark start. The next section of this walk is characterised by lots and lots of green rolling hills. While this might seem a little repetitive, certainly compared to the ever-changing landscapes on leg one, trust me when I say you won’t get bored of these views. Picture-postcard landscapes really do emerge out of every line of sight. One little warning is that grazing cattle were pretty prevalent along this section. Given the time of year that I was travelling from Bodfari to Rhuallt, this also meant that they had their young with them. Consequently, just ensure that you give them plenty of room and do not get between the adults and calves. One adolescent took quite an interest in me (something that I’ve often heard happens if you’re walking alone) after I’d walked past, following me for quite some distance. At one point I thought he was wanting to join me all the way to the beach in Prestatyn. However, turning around briefly and calmly to face him spooked him enough to run in the opposite direction. Even greater care is needed if you have a dog with you, so make short it is calm and on a short lead. Families of cattle weren’t my only friendly visitors either. As I approached the footbridge to cross the A55, I paused to take a couple of photos of three lovely horses in an adjacent field. As I did so one of them wandered over to get a closer look at me (note to self: check what aftershave I was wearing that day – it clearly attracts the wrong sort of attention!). Anyway, after giving him a bit of a fuss he showed his affection for me by showing me the most awesome set of teeth I’ve seen in a long while. If you haven’t watched the video walk-through above yet, do it now. I captured this moment on my GoPro! Crossing the bridge that lofts high above the A55, the main trunk road through North Wales, I couldn’t help but wonder at the thousands of cars that pass under that bridge every single day completely unaware that the Offa’s Dyke Path, and all of its stunning scenery and inquisitive animals, is literally within touching distance. It makes me a little bit sad that more of them don’t stop and explore this amazing section of Wales. So, next time you’re planning a journey along the A55, plan to stop off here and explore some of these lesser known gems that North East Wales has to offer. You can thank me later! As well as stopping your car along this section of the A55 to explore some of the Offa’s Dyke’s best scenery from Bodfari to Rhuallt, there are also a wealth of other reasons to stop and, indeed, extend your stay in the area. First up we have Bodelwyddyn Castle. As well as the very obvious attraction of visiting the spectacular castle and grounds, Bodelwyddyn Castle regularly hosts a wide range of really cool events and exhibitions. On our last visit they had a fascinating World War One trench exhibition in the grounds,where visitors would be guided around a network of recreated trenches and told stories about what life was like in the trenches. As well as this, we took part in a family treasure hunt around the grounds and the kids ran themselves ragged on the adventure playground. Next time we visit, we’re desperate to go to one of their haunted ghost hunt nights, which sound like very cool experiences. Also within a short drive of the trail from Bodfari to Rhuallt is Denbigh Castle. This 13th Century fortress is a really interesting day out and CADW has done a great job in promoting the story of the castle. As you visit each of the castle’s main sections, you’ll see information posts that detailthe important architectural aspects and life of the castle,elements that really help to bring it to life for visitors. For instance, it was amazing to stand in the kitchen area and look up the giant flue that would have formed the main stove used to cook feasts which were then carried through to the great and the good in the main hall. 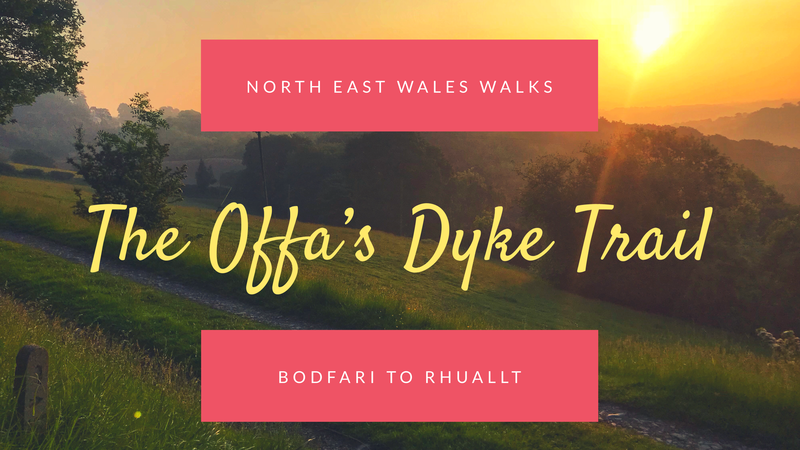 I’ve never done enough to explore Wales and confess I’ve never been to Offa’s Dyke (although must have crossed it at some point!). Very inspiring pics and love the videos too! Thanks John, appreciate that. If you ever do make it up this way please give me a shout. I’d love to show you around. We’re planning a welsh road trip this summer and are super excited as our new tent arrived yesterday. Your photos are beautiful and you have definitely inspired me to make sure we get right up into the North East!